Yes, we are all obsessed with the Nov. 6 federal election, which comes in the middle of the first term of office of the most deranged president in the history of the United States. But let’s not forget that we have some Los Angeles County officials and state measures on the ballot. The winners there will have the most direct impact on our daily lives. WEHOville is endorsing candidates for two county offices (it would be three, but thankfully, with 75.5% of the vote in the primary election, Sheila Kuehl already is in to continue representing the 3rd District on the county Board of Supervisors). 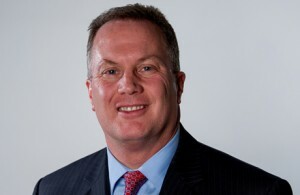 Perhaps our most obvious endorsement is Jeffrey Prang for re-election as L.A. County Assessor. His years of service on the West Hollywood City Council gave West Hollywood residents evidence of Prang’s intelligent approach to government issues and his skill at crafting solutions on a council that sometimes struggled with a sharp political divide. Prang’s management smarts are evident in the way he has in his first term cleaned up an office whose reputation was seriously damaged by his predecessor. The decision by Prang’s opponent, John “Lower Taxes” Lowe, to officially add that slogan to his name says it all. He’s worth a chuckle, but not your vote. 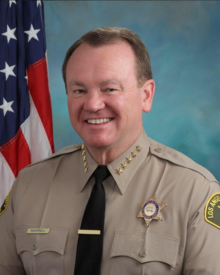 Our other endorsement is Jim McDonnell for re-election as Sheriff of Los Angeles County. The L.A. County Sheriff’s Department provides public safety services to the City of West Hollywood. His election in 2014 in a race against former Under Sheriff Paul Tanaka was a clear sign that the residents of Los Angeles County wanted to see some cleaning up of the scandals that emerged under McDonnell’s predecessor Lee Baca. In this election, McDonnell faces Alex Villanueva, who has decades of experience in law enforcement but not the sort of management chops to run and change an operation the size of the Los Angeles Sheriff’s Department. It has 18,000 members, making it the largest such department in the nation. It also has a deputies union whose size has given it considerable power with the state legislature and even the West Hollywood City Council. So making changes isn’t easy, but McDonnell already is deep into them. One of McDonnell’s major focuses is transparency. In an interview with WEHOville, McDonnell stressed that being as open and transparent as possible is one way to change the skewed perspective the public has toward law enforcement nationwide. Under his watch, the department has an impressive public data sharing project that includes information such as the number of residents detained by the federal Immigration and Customs Enforcement division, the projected dates of an inmate’s release from prison, details about deputy-involved shootings and Crime Mapping visual data on crimes in specific areas such as West Hollywood. McDonnell also has launched an effort, opposed by the deputies union, to share with prosecutors information about misbehavior by deputies that might influence a jury’s decision in a trail at which a deputy testifies. Another of McDonnell’s goals has been to stop using the county jail system as a hospital for the criminally insane. The system has an average of 17,000 inmates on a typical day, with nearly a third identified as mentally ill, McDonnell said. He has been focused on finding ways to put those sorts of inmates in community-based mental illness programs. However, that is a challenge whose solution requires work from more than just the Sheriff’s Department. As McDonnell notes, the opposition from L.A. County residents to building mental health facilities (or homeless housing) near them has exacerbated the problem. The mental illness issue is interwoven with the major issue that McDonnell says is raised in meetings with Los Angeles residents. That issue is homelessness – not an issue the Sheriff’s Department can solve. However, under McDonnell the department has created a Homeless Outreach Services unit that is changing the perceived way law enforcement deals with homeless. That’s evident in West Hollywood in Capt. Sergio Aloma’s descriptions of the repeated personal interactions the local team engages in to win the trust and cooperation needed to get the homeless off the street. McConnell’s ultimate goal is improve not only the services provided by the L.A. County Sheriff’s Department, but to help the community understand that public safety is everyone’s business. “Policing on its basic level is being there full time to provide the services that really are everybody’s responsibility,” he said. For that reason, he wants to change the perception these days that “it’s us versus them to it’s us.” In other words, we’re all in this together. First of all, I find it hilarious that the rules for posting here are to focus on the issues and to not attack when the first sentence on this page uses a disparaging comment to get the attention of your audience. Second I just want to thank you for providing information that helped me make a decision in this election. Since Hillary Clinton became a candidate for president, liberals have been pushing voters away with their non-factual, race baiting, victim-oriented horse manure that most likely handed DJT the presidency. I will not be voting for Jim or Jeff and I would like to thank Henry (Hank) Scott personally for help me avoid an irreversible mistake. Jim McDonnell has destroyed the Sheriff’s Department. Every deputy that works at West Hollywood Station is unhappy and hates McDonnell. I will vote for Jeff but not McDonnell. His opponent Alex Villanueva is a Democrat and is endorsed by the LACDP and the stonewall democrats. Jim McDonnell is the ONLY candidate with any credibility to run the Sheriff’s Department. His opponent has barely any supervisory experience and no upper management experience having only risen to the rank of lieutenant which is 6 ranks below sheriff. Villanueva managed a shift of a few hundred employees at his peak while McDonnell has managed 18,000 employees in the sheriff’s department, over 1,200 in the Long Beach Police Department and 12,600 in the LAPD. Although the deputy’s union endorsed Villanueva, the LA County Professional Peace Officers Association endorsed Jim McDonnell, as has many other peace officer associations. Already voted by mail, they both got my Vote!